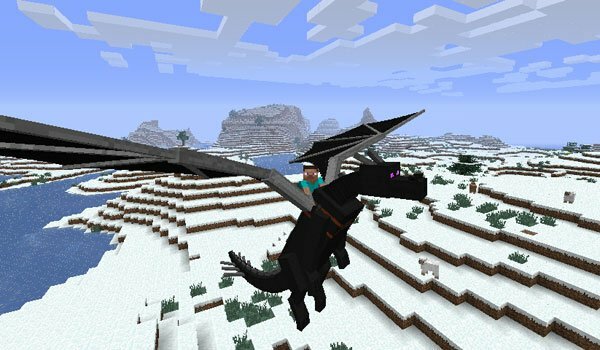 If looking for a mean of transport that makes a difference, we introduce Dragon Mounts 1.7.2 and 1.6.4 a mod that lets you take to the sky of Minecraft with elegance and being the king. Remember, to ride, you’ll need to create a special chair for them. How to install Dragon Mounts Mod for Minecraft 1.7.2 and 1.6.4? Got your own Ender Dragon! hey I got the mod and all but what do you mean by “make a special chair”??? I cant figure out how to tame the dragons!!! plz help! this is sooo hard to download. ive got the minecraft forge and clicked .minecraft for install client and install server.how do i move the zip file to the .minecraft file from the downloads? please help me,im only 12! How Do You Fly On Them? I Have Them Tamed, Of Course. Got The Saddle Fish Bones. Riding Them, But How Do I Fly? Why won’t he chase me or when i’m falling he won’t save me?? ?